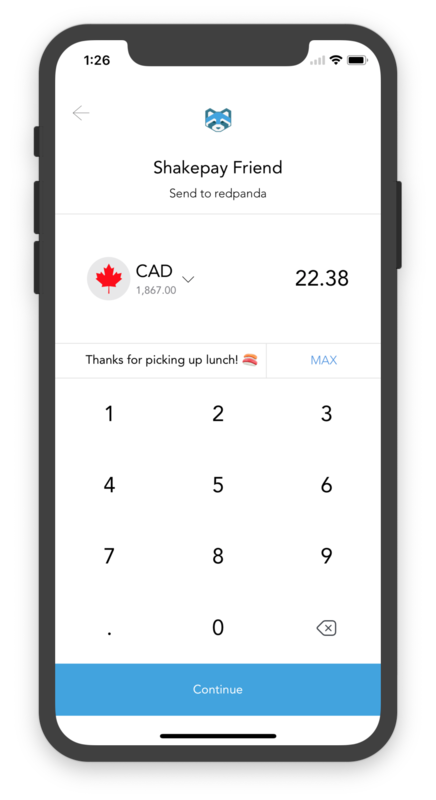 Sending funds to your friends couldn’t be easier! 1. Once on the main screen, click on the “Send” button on the navigation bar. 2. On the next page, just select “Shakepay friend”. 3. 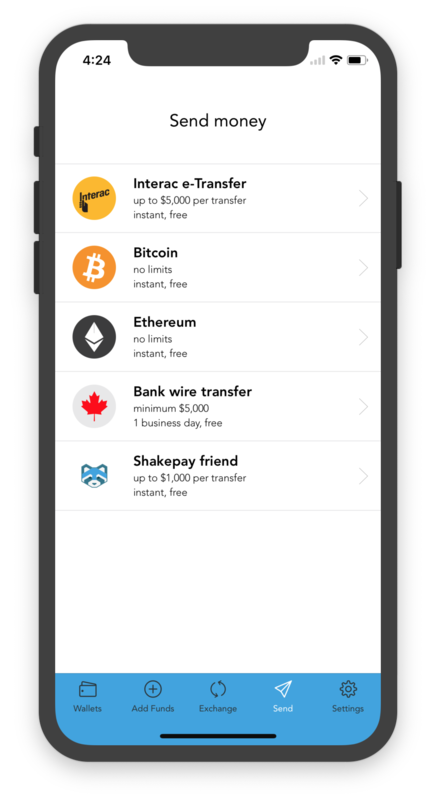 Enter the Shakepay username of your friend. 4. Select your CAD, BTC or ETH wallet. Enter the amount you want to send them and include a friendly note if you’d like. 5. Take a second to look everything over making sure the username, amount and note look good. If everything is correct click, the big blue “Continue” button! It's that easy, you just sent funds to your friend! Need any help? Don't hesitate to reach out to our Support team help@shakepay.co.